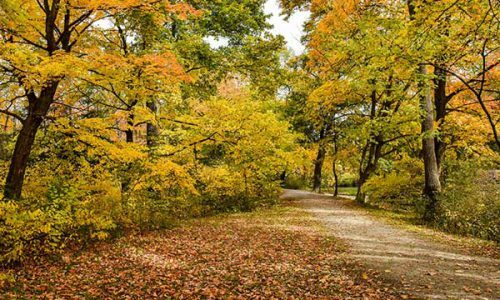 Bounded by the steep fallsview moraine and the Niagara River Great Gorge, Queen Victoria Park contains a valuable collection of unique native and international plants and beautifully maintained gardens. Walking through the park beside the American and Canadian Horseshoe Falls, you’ll find a rock garden, hanging baskets, a Hybrid tea rose garden and attractive carpet-bedding displays. Park benches and well-groomed lawns are perfect spots to relax or take some photos. 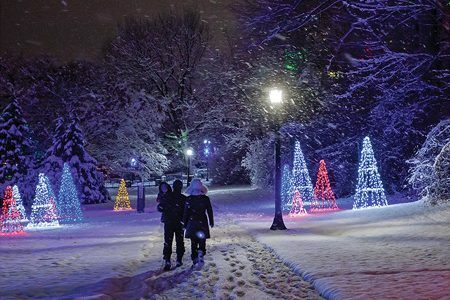 Niagara Parks hosts several free events in Queen Victoria Park throughout the Year. Canada Day celebrations, Onguiaahra, The Winter Festival of Lights and New Years Eve are all hosted within the park. Dufferin Islands is 10 acres of paradise, where wooden footbridges connect small, secluded islands. You may be surprised at the wildlife you find in this popular escape, Niagara’s hidden secret.